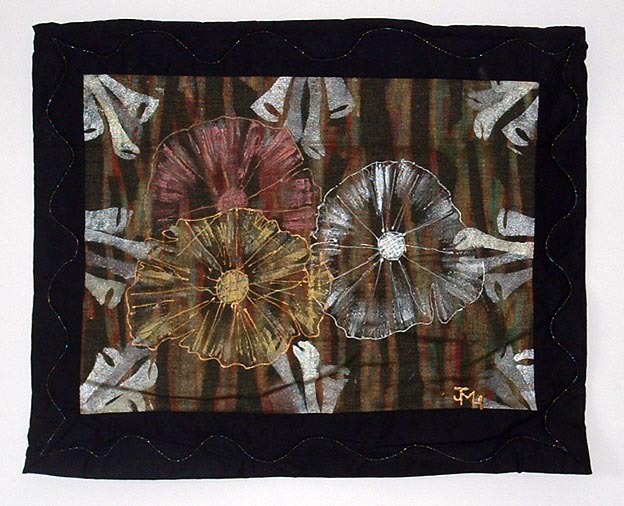 A fabric wallhanging. This is where my printmaking comes into its own. Inspired by fungus through the microscope.